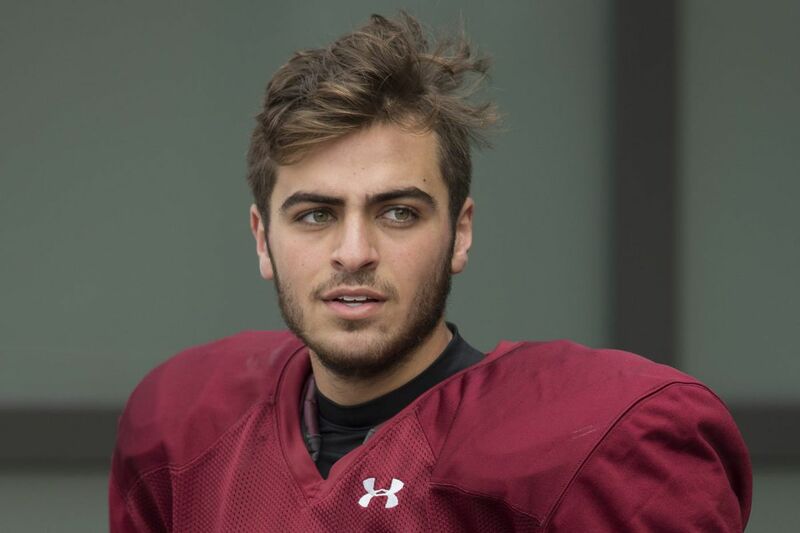 Temple kicker Aaron Boumerhi was named second-team all-conference last year. First-year Temple coach Geoff Collins won't name a starting quarterback and still suggests more than one might play in Saturday's opening game at Notre Dame. The kicking situation isn't much different. Monday, during a conference call with the media, Collins said he might use two kickers. "We have got two different kickers, one inside a certain distance and one outside a certain distance," Collins said. "The same situation for kickoffs." The two kickers are senior Austin Jones and sophomore Aaron Boumerhi. Presumably, Jones would be the shorter-distance kicker and Boumerhi would be the longer-distance kicker, although they are close with their career-long field goals: Jones at 47 yards and Boumerhi at 48. Jones was the starter his first three seasons, but suffered a torn anterior cruciate ligament in the sixth game that ended his season last year. He is tied for second on the Temple all-time field goals list with 46. Boumerhi, a former walk-on, then replaced Jones, hit 15 of 17 field-goal attempts and earned second-team all-American Athletic Conference honors. As for punter, Collins wouldn't give his choice, but said it was probably between senior Alex Starzyk and freshman Connor Bowler. Starczyk was suspended indefinitely from the team in the spring and returned to the squad Aug. 21. He was the Owls starter his first three years and last season averaged 39 yards per punt.